Gowalla has been doing some pretty interesting things lately. A couple of weeks ago we reported on the addition of city pages and the location company’s 2011 calendar, where it is selling dates in certain cities to businesses that want to be the featured spot of that day (the service has also just passed 2 million user generated Spots as well). We also reported last week on a six-week promotion that Austin-based Gowalla is running nationwide with Whole Foods and Tazo Tea, and we’ve noticed a few retweets from the Gowalla Twitter account from people winning tea and $25 gift certificates. 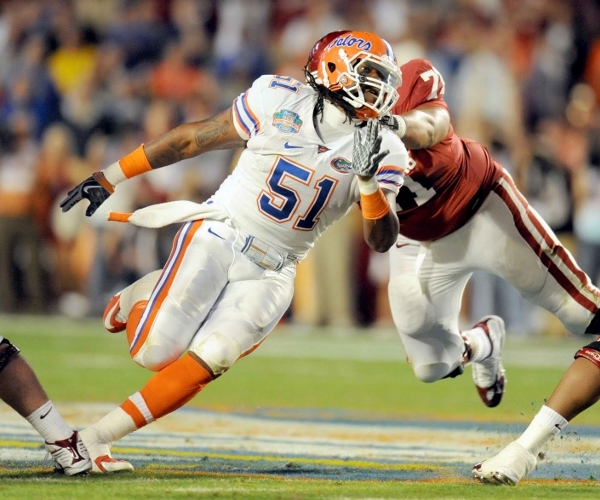 Then, a couple of days ago, we stumbled upon a contest called the AP Top 25 Challenge, that Gowalla is running at a number of universities nationwide in conjunction with those schools’ football teams. 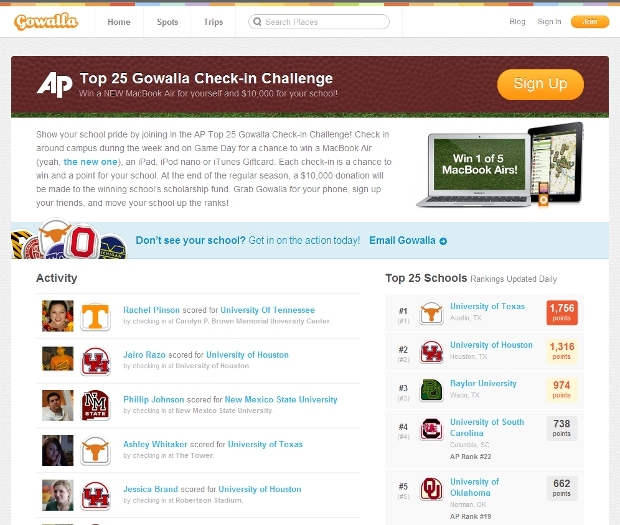 Basically, Gowalla is asking people (mostly students of course) to check-in at their schools on game-day, with the school with the most check-ins going to the top of the leaderboard. Here’s the really juicy part though: everyone that checks in gets a chance to win either a new MacBook Air, an iPad, an iPod Nano or iTunes gift cards. Getting a MacBook Air just for checking in is a pretty darn good excuse to check-in, don’t you think? Finally, Gowalla announced yesterday that it has rolled out “three fun things” for the Europe market. Users in Sweden have a new trip, that entails visiting all of the major ice hockey stadiums of the Elitserien (or the Swedish Elite League). 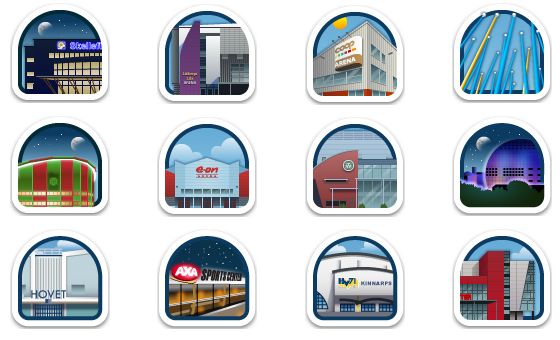 All of the stadiums have their own nifty looking stickers, and users that collect any three will get a custom Pin for their Gowalla Passport. Gowalla has also created a special Trip for Internet Week Europe in London (going on this week), as well as its first featured event stamp in Portugal as well. All in all, Gowalla really seems to be picking up speed after what seemed to be a relatively quiet summer compared to Foursquare, and we’re looking forward to what comes next.